The overriding sentiment in the film “An Inconvenient Sequel: Truth to Power” is one of optimism. A decade later, the former vice president and Nobel Peace Prize winner is the first to concede that not enough of the world has met that challenge. “Wow, we could lose this struggle,” he recalled thinking at one point. But that moment of doubt, recounted in “An Inconvenient Sequel: Truth to Power,” was apparently just that: a moment. The overriding sentiment in this sequel is one of optimism. 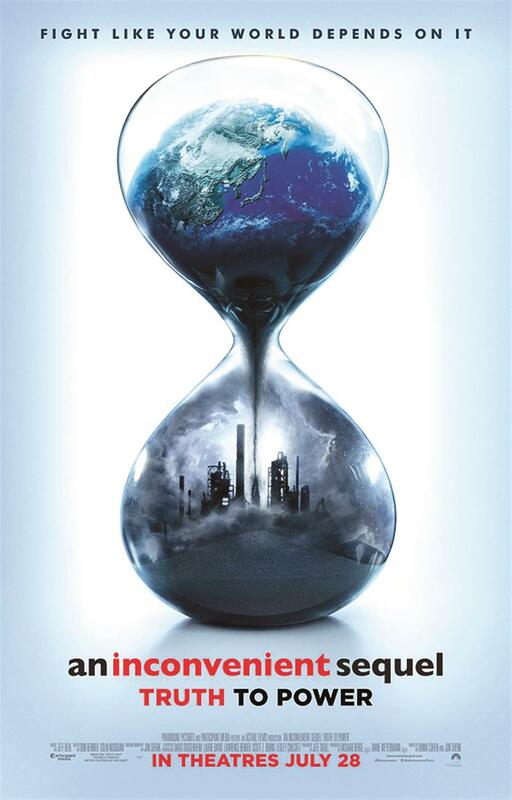 The film “An Inconvenient Sequel: Truth to Power” tells both about urgency and hope. Now, that may come as a surprise to many, especially given what we journalists would call one heck of a news peg: The decision by President Donald Trump, in June, to withdraw the United States from the 2015 Paris climate accord — a landmark pact that Gore worked tirelessly to help achieve. But, as this sequel makes clear, Gore’s not looking to the White House to fuel his optimism. The message of this sequel is twofold: Urgency and hope. Things are bad, but here’s what’s happening that’s really exciting. And he has no doubt that mankind will save the planet. He may have wanted to be president, but Gore has surely found his calling, and his own energy seems more renewable than ever.